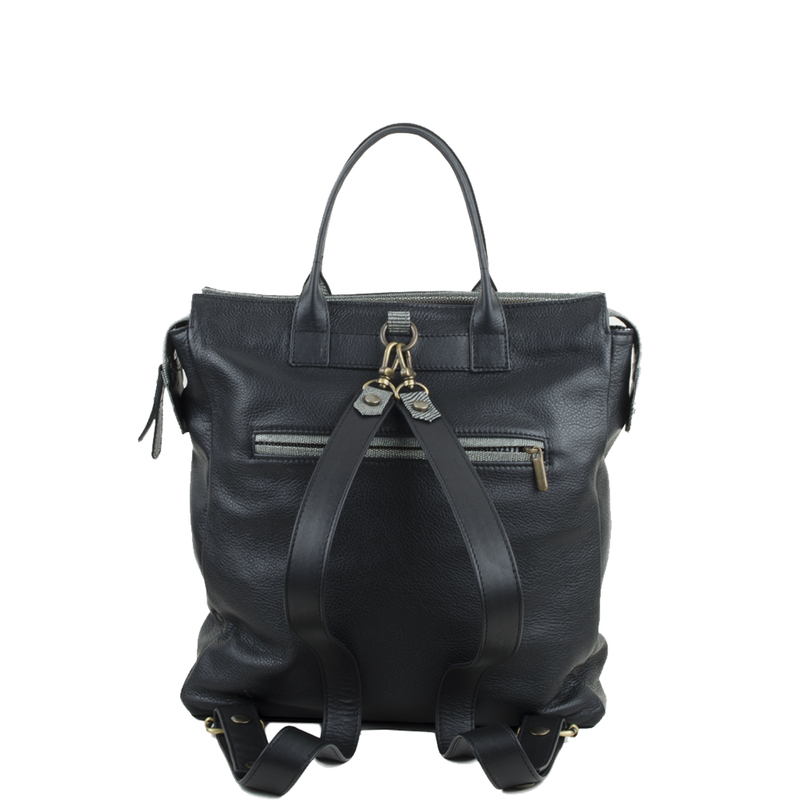 The Sara black leather backpack is a great bag for all events. 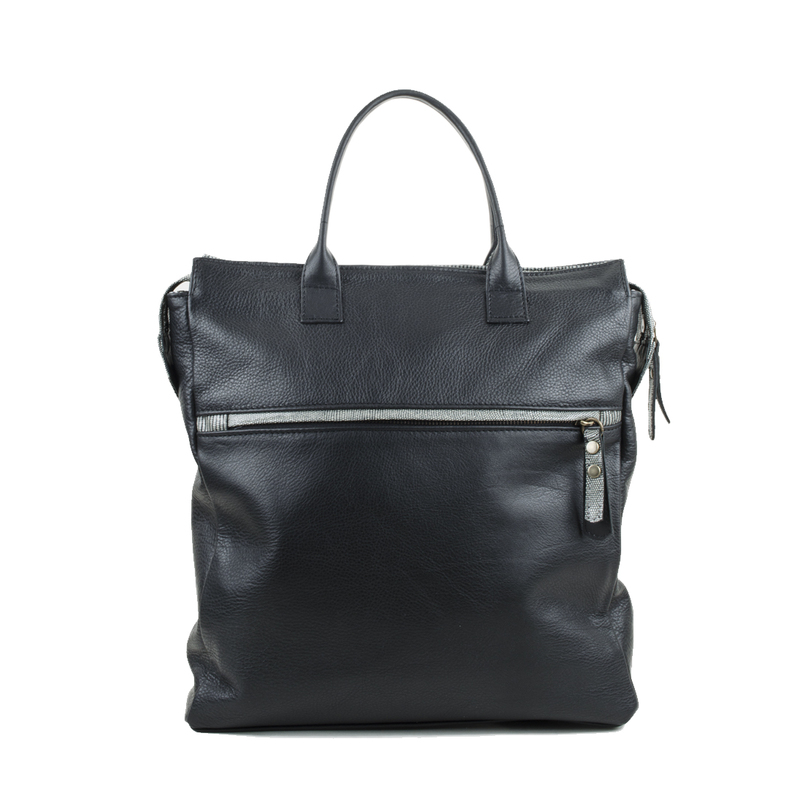 The Sara leather backpack has been designed as a back pack and grab bag, the perfect bag for work and utility. Use her to stowe documents laptop etc and when you are dashing for the train pop her on your back as a back back. 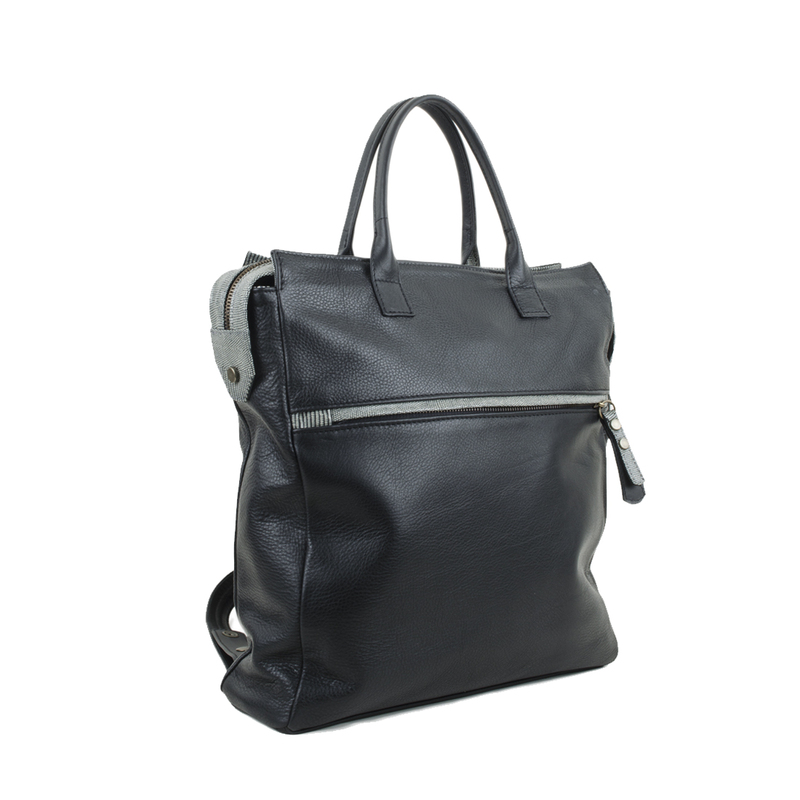 With contrast details in courmayeur the Sara leather backpack has the ability to be used for smart or casual. 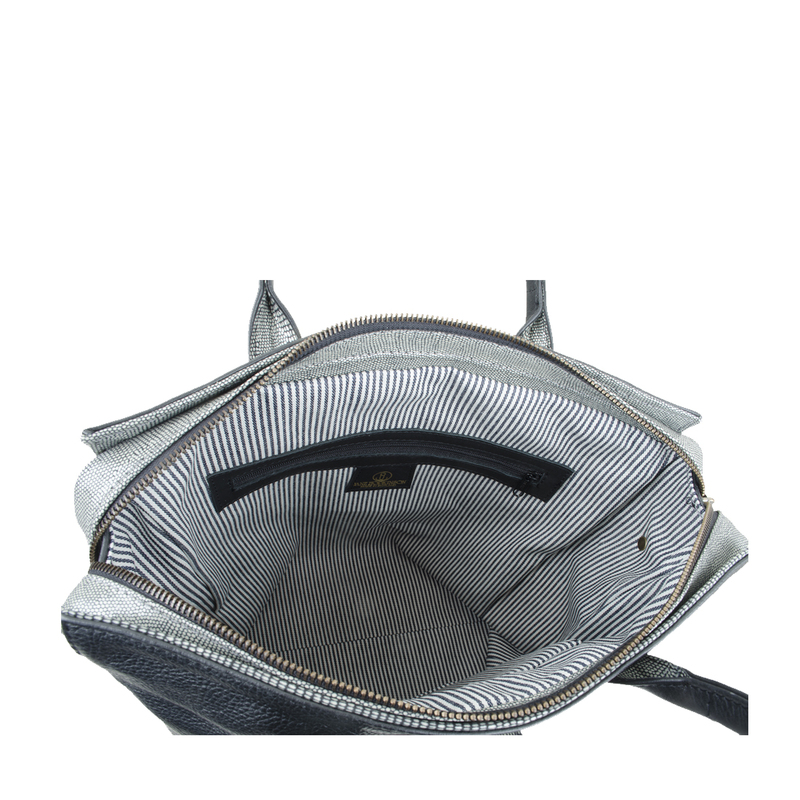 Cotton drill sriped lining with inside zip pockets and mobile phone holder.